Shannon Hershkowitz is the Alumni Recovery Coach at Rosewood Centers for Eating Disorders. A native of Williamsburg, VA, Shannon has lived in Wickenburg, AZ since 1994 and has worked in various hands-on capacities in the field of eating disorder treatment since 2000. 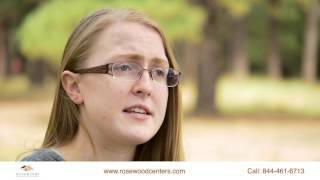 As Rosewood’s Alumni Recovery Coach, she connects personally with nearly every patient who completes their treatment at Rosewood. Shannon derives enormous personal and professional satisfaction from helping alumni stay on track with their recovery programs, and she serves as a primary point of contact for those struggling with relapse. She organizes and coordinates annual reunions at the national level, as well as a growing number of regional gatherings that help Rosewood alumni stay connected and mutually supportive. Shannon is the founder and leader of Operation RecoverED, an initiative that raises public awareness about eating disorders and the struggles faced by eating disorder patients. She is a proud, passionate and effective advocate and has spoken at schools throughout Arizona and as far away as Staten Island, NY. She contributes regularly to blogs published by Rosewood as well as its Facebook page and has given presentations at a walk organized by the National Eating Disorder Association (NEDA) and at a flash mob promoting Shake It For Self-Acceptance. Shannon is certified to teach The Body Positive curriculum, which encourages safe, empowering communities where young people can make peace with their bodies.